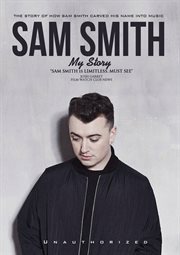 Title Sam Smith: my story [Hoopla electronic resource]. Imprint [United States] : MVD : Made available through hoopla, 2014. Description 1 online resource (1 video file (ca. 52 min.)) : sd., col. Credits Directed by Janis Logan. Summary Sam Smith is one of the most diverse performers in modern music. His catchy melodies, and charisma has allured fans all around the world. With hits like "Stay With Me", and " Lay Me Down", Sam has become a international superstar.In this intimate docu-drama we chronicle the life of the musical genius known as Sam Smith. Subject Smith, Sam, 1992- -- Interviews. Singers -- Great Britain -- Interviews. Added Author Smith, Sam, 1992- interviewee. Logan, Janis (Director), film director. Jackson, Jeff (Producer), film producer. White, Charlie (Producer), film producer.